A ministry that has been in existence for nearly fifty years and has seen more than two and a half million people come to know the Lord, began in the lives of a couple from El Paso, Texas. At the age of 18, the Lord began a work in the life of Charles B. Moore IV, the son of the late Charles B. Moore III. This young man’s salvation occurred at the conclusion of his first year at Texas Western College, which eventually changed to the University of Texas at El Paso. For seven years, this young man was a typical Christian businessman who did not know that there was such a thing as a joyful and victorious life in Christ. When Charles saw one of his eleven corporations become the largest of its type in the United States, he told his wife, Judy, that they should go to the Glorietta, New Mexico, Conference Center to attend foreign missions week. Judy never believed that they would make that trip, because her husband micro-managed every aspect of his eleven corporations. This was evidenced by the fact that their home telephone bills were always in excess of $400 per month (in the early 60s) God, however, did something miraculous, and they found themselves at the conference center. Upon their arrival, Charles and Judy found the morning Bible study was to be given by a Dr. Charles Culpepper, who was a missionary emeritus to China, and had experienced the great Chinese, Shantung Revival. This great moving of God’s Spirit began in the early thirties when a group of twenty missionaries came together and discussed the fact that their mission was being pressured by the Chinese Communists in the North and by the Japanese army in the south. The missionaries knew that their days in China were numbered, and they were sadly aware that they were not winning China to Christ. Dr. Culpepper told how these missionaries came together to pray and seek the Lord. They recognized that they had a minimal love for Jesus Christ. They began to confess sins to each other and to the Lord. They knew that God desired a life that was holy and acceptable unto Him if they were to reach the masses of lost Chinese for Christ. In the previous 13 years, their mission had only seen 800 baptisms in a country with millions of people. As a direct result of their brokenness and willingness to confess sin to each other and to the Lord, they saw a true revival break out in their midst and then in many parts of China. The next year, without any additional missionaries, money,or new programs this small group of missionaries saw more than 17,000 people baptized. Charles’ father had died when he was only twenty-two and left him eleven corporations from Brunswick, Maine, to Florida to California with more than 500 employees. As a very young man, he took those businesses and began running them as he had learned to do so from his father. 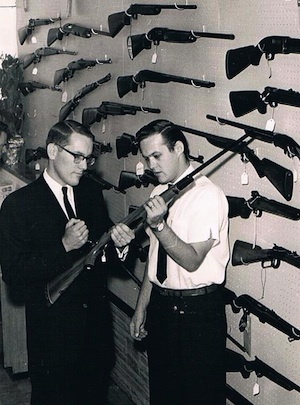 In 1964, he decided to run as a Republican for the Texas House of Representatives. 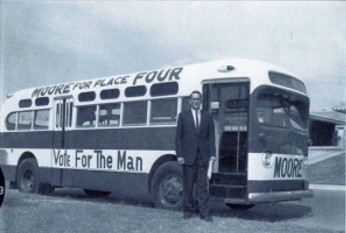 Because Charles was the only full-time Republican candidate in the area and had his own campaign bus with a telephone on it, it was logical for these two men to campaign together. He often has said, “Praise the Lord I ran as a Republican because if I had run as a Democrat I undoubtedly would have been elected”. One evening at a speaking engagement, he sat beside Barbara Bush on the dais and, just prior to his introduction to speak, she pulled one of her famous tricks on him. The campaign loss left him to continue his search to find joy and fulfillment, a journey, which would be concluded years later at Glorietta. Charles was happily married and had come to understand that the Christian life was a life of the do’s and the don’ts. He didn’t drink, he didn’t smoke, and he didn’t do other things that he knew he shouldn’t do. 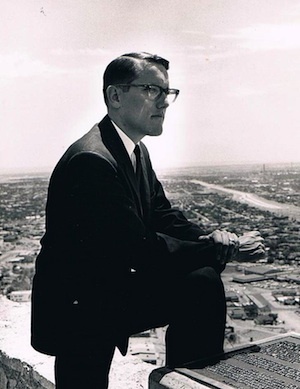 However he did do the things that he should: He attended every service of his church, he was a Sunday School teacher, he tithed, he was Chairman of the Board of the Baptist Goodwill Board of Advisors (everyone on the board was old enough to be his father), Chairman of the Juarez missions committee, and to top it all off, at the age of twenty-five, he was the youngest person to have ever been elected Layman of the Year for 41 churches in El Paso County. After his political defeat, he continued his quest for the elusive joy and fulfillment. Charles did not consider the possibility that he could find the answer in what his pastor taught each Sunday. For some reason, maybe because of the “Marlboro Man” advertisement, he thought if he would take one of his corporations and work at it until it became the largest of its type in the United States he would finally find fulfillment. 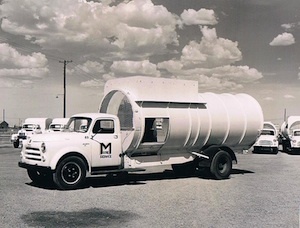 Eighteen months later and after 250,000 miles in commercial aircraft and in his own aircraft, he saw one of his companies become the largest of its type in the United States. 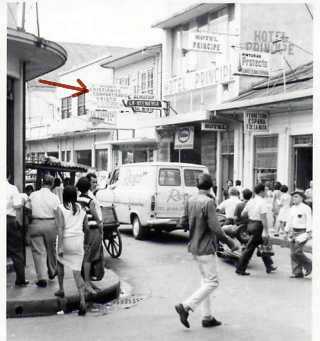 As a young man of twenty-five, he was working on contracts in Tel Aviv and Jerusalem, Israel, Mexico City, and Manila, Philippines. When he finally saw one of his corporations become the largest in the U.S., he was still missing something in his life. He knew he was a faithful church member who was living a very moral, upright life, while loving the Lord to the extent that he knew how. It was at this point they went to Glorietta, where he came to understand that for the seven years that he had known Christ, he had been living his life only for himself and his family and not for his Lord. He was sure of his salvation and knew that, should he die at any moment, he would be in the presence of the Lord. 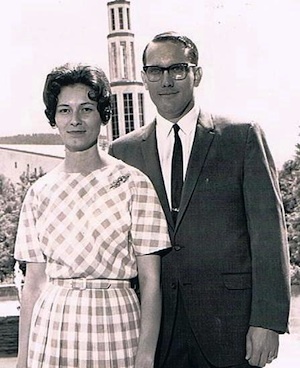 At the conference center, Charles and Judy both came to understand a life of obedience and surrender, a life of death to self and alive unto Christ. This life is called many things, such as “the abundant life”, “the Spirit- filled life”, or “the real Christian life”. Many people believed that Charles had everything he could ever want. He was a young man who had seen one of his corporations become the largest of its type in the United States, who could walk down the street and men old enough to be his grandfather would say, “How are you, Mr. Moore? How are you, sir?” He owned a 15,676 acre ranch, an airplane, and so many things that the world believes provide joy and fulfillment. During this time, it seemed like everything he touched turned to gold. He was in the process of buying a Viscount (four engine aircraft) or a DC-3, which he intended to use to start a non-scheduled airline. He was in business with the mayor of Juarez, Mexico, and was preparing to invest in a valuable silver mine in Chihuahua, Mexico. This was in addition to his father’s estate. As Charles and Judy were returning from Glorietta, with their newly-learned walk with the Lord, Charles was greatly concerned about losing his newly-found joy and peace. From the airport he called his secretary and told her to hold all of his calls and that he wouldn’t be coming in until the next day. He intended to hold on to the relationship he had with his Lord for as long as possible. The next morning as he drove to his office, he was filled with much fear and trepidation. He said that his fear was almost palpable, because he thought that he could not live victoriously in the work-a-day world. However, on the very top of his stack of mail was a record with a letter attached from a dear friend, Jimmy Thurmond, from whom he had purchased many trucks. Jimmy’s letter read, "Charles, here is a Christian record by a friend of mine which I hope will help you in your Christian walk." On the record were songs like, “More, So Much More” and “Fill My Cup, Lord." Charles took this as a message from God, that He had not left him on the mountaintop and that He would always be there for him if he allowed Him to be his Lord. 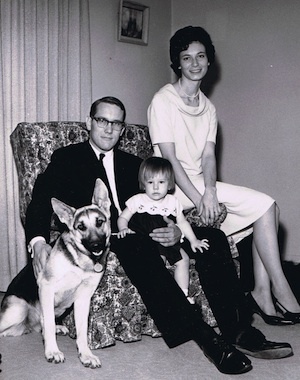 A few months later, while he and Judy were awaiting the birth of their second child, God burdened both Charles and Judy to leave all of the businesses and many of their belongings and go to seminary. They literally gave away the equivalent of more than $3,000,000. So, right after Thanksgiving they began preparing to leave for seminary. In January, their little family (their first son was 3 months old) moved 600 miles east to Fort Worth, Texas, where they saw God completely change their lifestyle. They moved into a small duplex where you could sit on the commode, turn the water on in the bathtub, turn the water on in the sink, adjust the water heater, and open the door without moving. On their first day in their new home, their little three-year-old daughter said, “Mommy, I love our new little house.” They had come to rest in the Lord, so they had become sensitive to see how God would lead and how He would bless. Their great God led them to become members of Dr. Cal Guy’s church - a small country church outside of Fort Worth. Dr. Guy was a professor of missions at the seminary and he also believed that the Christian life was a life of surrender and obedience to the Lord. At this small church, Charles and Judy grew in their understanding of God’s will for their lives. Their love and respect for Dr. Cal Guy resulted in their naming their second son Cal. Charles knew that God had not called him to pastor a church, but he did not know what God wanted him to do. Going to seminary did not mean that Charles would go into “full-time ministry”. The only thing that Judy and he knew was that they both wanted to be in the center of God’s will for the rest of their lives. The more the Moores read the Bible, the more they saw that God’s greatest desire was that each Christian should “Love God with all their heart, all their soul, and all their mind” (Matthew 22:37). Charles began pondering this truth while realizing how much he loved his two small children. One evening as Charles was putting his children to bed, he decided he wanted to see just how much he loved his Lord. He remembers vividly placing his three-year-old daughter on one knee and his four-month-old son on his other knee and, with all honesty, said to his Lord that He could take his two dearly loved children. Charles was not talking in hypothetical terms when he said, “God, I love you more than these two precious children that you have given me” This emotional experience showed him that he did love the Lord with all of his heart, soul, and mind. This gave him a foundation which helped him in the future to be obedient when the Lord would lead him in ways that could put his family in possible danger or have them live with much less than other families. While at seminary, Charles began searching for what God wanted him to do with his life. There was no question that God had not called Charles to be a pastor, so maybe God wanted him to go back into the business world. However, his ability to speak Spanish (he is totally bilingual) caused him to begin to consider becoming a missionary. Eventually, this would lead to his being appointed as a missionary businessman to handle the business affairs for a number of missionaries in Peru. Charles and Judy were required to go to Costa Rica to attend language school; however, on their first Sunday morning in Costa Rica, Charles had the opportunity to preach a 35-minute sermon in Spanish. He had learned to speak Spanish as a small child, as his parents had divorced when he was 18 months old, and a Mexican maid who could not speak English took care of him. Charles’ father raised him, and they lived in Del Rio, Texas, across the river from Villa Acuna, Mexico. His father was in the Texas House of Representatives, requiring him to be out of town for lengthy periods of time. On Friday afternoons, Charles and the maid would ride the bus across the river to Mexico, where he would sleep on wooden slats in a mud-floor hut, and bathe in the dirty Rio Grande River. On Monday morning, they would again cross the river to return to his father’s home in Texas. God used this experience with a Mexican maid to teach Charles Spanish, but more than that, it gave him a love for the Hispanic people. God knew ahead of time that in 1968, He would have Charles, Judy, and their two small children living in San Jose, Costa Rica, and Charles would need to be able to preach in Spanish. 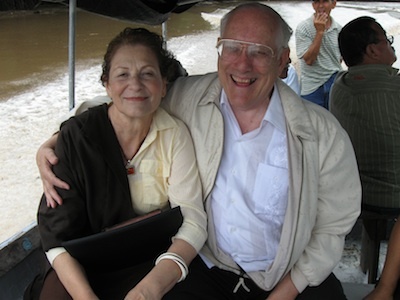 After that first sermon in Costa Rica, God began using the Moores in many ways. After a short period of time, they had twelve Costa Rican pastors attending a weekly luncheon in their home to pray for a spiritual revival in their congregations and in their country. Charles did not have to go to language school, which freed him to spend time with pastors and many Christian laymen. This time would prove invaluable for the time when God would lead him to start the work of Christians Sharing Christ. 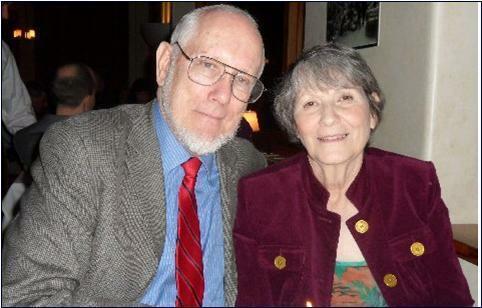 Every morning he would take Judy across town to the Spanish language Institute. They had purposefully rented a home on the opposite side of town so that they could spend their time with “Ticos”, the name given to Costa Rican citizens. Almost all of the missionaries lived around the language school, so if the Moores were going to have any impact on the lost, they would have to disassociate themselves from the English-speaking community and live among the Ticos. The house that they rented was less than two blocks from the nearest house of prostitution and only 3 blocks from where they would eventually start their marketplace ministry. They lived in a seven square mile area where there were more than 50,000 people and not one evangelical church. The trip across San Jose would take them through the heart of the market place and the red light district. Almost from the beginning, God began placing a burden on Charles’ heart to reach this mass of people with the good news of Christ. They saw drunks asleep on the sidewalks, men and women with large open running sores on their arms and legs, and prostitutes of all ages. Beginning at the age of seven, Charles, on several occasions had made speeches in Spanish before several hundred people in his father’s political campaigns for office. Those experiences were used of God to prompt him to want to preach on the streets to needy people. He began looking for a parking lot to rent where he could preach to the crowds of people that would walk by. He found a lot that he could rent, but was told that he could only use it from 11:30 a.m. until 1:30 p.m. on Tuesdays. Finding a small amplifier that could be attached to his car battery and run two speakers and a microphone was almost impossible. But, what God had ordained, He would provide the equipment necessary. The parking lot where he began preaching was directly across the street from a house of prostitution. The first two weeks, the prostitutes shouted all kinds of obscenities from their second story windows. However, by the third week, the windows were full of women who remained silent as they saw an increasing number of their friends walk across the street to accept Christ. So, off they went, not knowing what to expect. The two of them were placed in a totally dark windowless, 8 X 8 room, and the solid steel door only had a two-inch opening at the top. As they were ushered into this filthy, smelly room, they saw several drunks passed out on the floor and realized that they would have to remain standing for the duration of their stay. Claudio Rojas, the teacher, with an exuberant spirit, said, “Charles, don’t you feel like Paul and Silas in the Philippian jail?” Remembering what those two men did, Charles and Claudio began to pray, asking God to glorify himself and to use this experience to spread the gospel in Costa Rica. 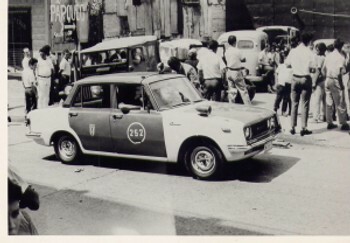 The corporal proceeded to tell how God had convicted him during the sermon and invitation that a North American was preaching to his countrymen, something he knew he should be doing.Â Â He said he had never witnessed to anyone, though he had been a Christian and a member of the Calle Blancos Bible Church for some time. He told Charles that on the following Sunday he had gone forward in his church to recommit his life to Christ. Together, these two brothers laughed and Charles said, “Corporal, if you know any other Christian policemen who are not living for the Lord, tell them to come over and arrest me next week!” They again had a joyful laugh. The Moores were still planning on going on to Peru, so Charles could be a missionary businessman; however, something happened that dramatically changed the direction of their lives. 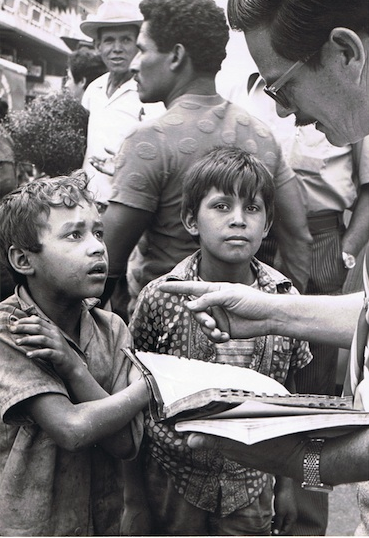 That year, 1968, was the year that a simultaneous evangelistic thrust was made throughout the Americas and was called the “Crusade of the Americas”. That meant that all 19 Costa Rican churches were required were required to have a weeklong series of evangelistic meetings. By December, 18 of the churches in the country had concluded their week of evangelistic meetings with a combined total of six people who had accepted the Lord. Charles had been invited to preach the last “crusade” in a small church in a subdivision known as Ipis. Two weeks before the scheduled meetings at the Ipis church, Charles spoke to the congregation, and told them that he wanted them to do three specific things and nothing else. He asked them to pray for themselves so that others could see Christ in their lives; this included confessing any and all sins that would keep this from happening. Then they were asked to pray that their church would be in one accord and one spirit just like the early church was on the Day of Pentecost. The last thing Charles exhorted them to do was to pray for their pastor and for himself, that they both would be hidden behind the cross during the entire crusade. On the Sunday morning before the meetings began that night, Charles preached a message and told the church that the services were going to start promptly at 7:00pm (in Latin America nothing ever started on time) and that the services would be over by 7:30pm. His stated reasoning was that if God was going to bless, He would do it quickly, so that no one would try to share the glory with Him. Charles also told them that they did not need to listen to the sermon he would preach, that is, if, in fact, they knew the Lord. He asked them to be praying for each lost person they saw in the church. The services started punctually at 7:00pm and the invitation was concluded at exactly 7:30. The first night, 19 people came forward and gave their lives to Christ. The church felt led to extend the Crusade for a second week. When the crusade concluded there had been 122 professions of faith. Remember that the other 18 churches had a combined number of six who accepted the Lord. It was evident that the Lord had done something miraculous in this small church. Within the month, the church had baptized 91 of the 122, which dispelled any thought that the decisions were not genuine decisions for Christ. God had blessed, because man’s techniques and man’s plans were not used. Within a year, this church doubled it’s membership and built a new church building. They continued having a Godly influence on their community. Because his sermons lasted less than 20 minutes and were simple sermons about how a person could come to know Christ as their savior and Lord, Charles knew that it was not his “great oratory skills” that such a large number of people gave their lives to Christ. 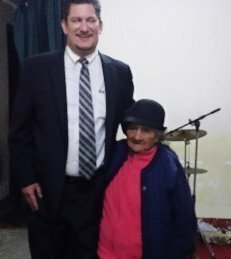 This experience showed Charles that God wanted him to be used to see people saved and not to run a Peruvian Mission business office. This led to their contacting their mission Board and asking to stay in Costa Rica to work in evangelism and helping churches grow in God’s grace. The response was that Charles needed to go on to Peru or he needed to return to seminary and pastor a church for two years. The choices the Moores were given were clearly not God’s will for their lives, so they began the process of resigning from the board. Their resignation took a tremendous step of faith, because they did not know how they would be able to live without the salary, insurance, housing, paid schooling for their children, etc. that they received from the foreign mission board. Some of their most cherished possessions from their business world days were in storage in Ft Worth along with purchases made to furnish the home in Peru where they were to live. The Mission Board was paying the storage fee. The Moore’s crates were to be shipped to Peru to furnish a four-bedroom mission home. Charles knew they could not pay the storage costs, nor could they pay the more than a dollar per pound shipping costs to Costa Rica. Their decision to resign left them with no way to support themselves financially. Their only income, $250 a month, came from the sale of a small business that Charles had started with a boyhood friend. This was not enough for them to live on, much less pay for the expenses involved in the parking lot and traveling around the country to preach in different churches. Before they left for seminary, God had led Charles to give everything away so that their lives would not be divided between the things of the world and the Lord’s will. They literally gave away more than $270,000 (1966). This would be the equivalent of more than $3,000,000 today. His father’s estate was in trust to his little brother and himself. This meant that as long as Charles ran the businesses, he would have a very handsome salary. There is no question that if he had stayed in the business world, he would have continued amassing a fortune and today probably would have been a multimillionaire. However, God led Charles and Judy to do something very different. Charles sat down with Judy and told her that he needed to go back to Texas and sell everything that was in their crates. He asked her if she was willing for him to get rid of all of their keepsakes. Her response was “God will take care of it.” So he flew back to the states ready to sell everything they owned. The evening of his arrival into Ft. Worth he took a long walk and pondered the sale of all their prized belongings. He realized that for several months, he had been considering the things stored in the two crates as an insurance policy for his family. If one of them had become sick while they were with the Foreign Mission Board, they would have been flown back to the Mayo Clinic or to the best hospital in the United States for treatment. Charles knew the verse that says, “A man is worse than an infidel if he does not provide for his family.” So he had considered the contents of the crates, as a means to pay for any medical needs that his small family would need. As he walked that three miles, he wept and agonized over how he was putting his family in jeopardy. The next day at noon, he was able to get a ham operator in Fort Worth to phone patch him in to Judy in Costa Rica. He asked her one more time, “Judy, are you willing for me to sell all that we have stored in the crates?” and she said “Yes!” At that point, Charles broke down and wept uncontrollably. He knew that he had never been so sure that he was in the center of God’s will for his life and that of his family, but he had never felt so alone. He went to the seminary to try to find Dr.Cal Guy or Dr. L. Jack Gray. Upon finding both of these men, he shared the pain and agony of feeling so sure he was in the center of Gods will for his life and at the same time his sense of being so alone. Dr. Guy asked Charles directly, “Could it be that God is trying to tell you not to resign from the Foreign Mission Board”? Charles said that he was never so sure that he was in the center of God’s will in resigning and staying in Costa Rica. Dr. Gray looked at Charles and said, you need to claim the 34th Psalm, “Delight thyself in the Lord and He shall give you the desires of your heart” Within seconds, Charles had peace, for that was all he desired. Charles just needed to delight himself in the fact that he knew his Heavenly Father’s will for his life. God then would give him the desires of his heart, peace. The three men had a time of prayer, and Charles left their offices with “the peace of God that passeth all understanding”. That evening, God let Charles hear a couple promise to pay $20 a month on the storage bill so that he and Judy could keep some of their prized belongings. The next morning, he went to the storage warehouse and began the ordeal of taking everything out of the crates and putting a few of their keepsakes into a very small crate. When the warehousemen sealed the crate and put it on the scales, Charles was told that the monthly cost for storage of their crate would be $19.70 Just as Judy had said, God did take care of it. With joy, he traveled to Asheville to be among the men who had loved him and shared his burden to reach every layman with the message of joy in Christ. Some of the men came to see Charles at a luncheon at the cafeteria, in the room that they fondly called “the Upper Room”. They listened as Charles again shared a burden that God had given him. As best as Charles could know, he and his family were to stay in Costa Rica and work in seeing revival in churches and to reach the lost in the marketplace of that country. These men listened to him and saw the same conviction in him that they had seen when, with his last $100, he had rented the Asheville City Auditorium. These men got down on their knees to pray for God’s guidance and when they arose, one of them, proposed that they do everything they could to help Charles fulfill God’s call on his life. Unanimously they agreed to form a nonprofit organization whose sole purpose was to support the Moore’s and their ministry. They went further and said, “We will send what money we receive down to Costa Rica for you, Judy, and the children.” Seven men promised they would see that at least $250 would be sent each month. They named the non-profit organization, Christians Sharing Christ, Inc. Charles had taken a big step of faith in obeying God’s leadership, and God showed that He had honored it by what these men did. The Moores knew that they could not rent a furnished house, so they began looking for something they could afford and, as God provided the funds, they would buy furniture. As they moved in to their home, they had a loaned baby bed for their four-month-old son, a kitchen table with four chairs, and two portable aluminum camping beds for their two older children. For the first two months, Charles and Judy slept on the floor; for the first six weeks they had no refrigerator, and for the first seven weeks, they had no stove, only a hot plate. They never felt like they were sacrificing anything, because they were filled with joy and hope for what they knew God was going to do in their lives. 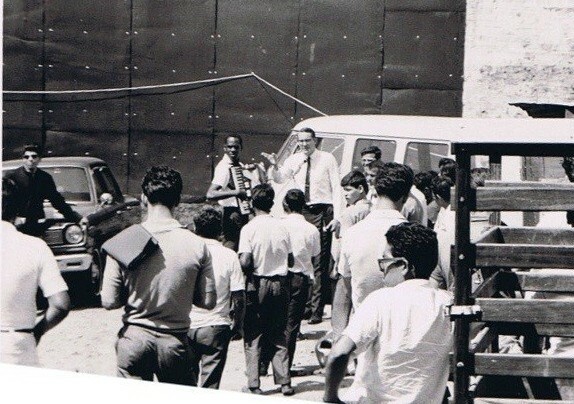 Charles had been preaching every week in the parking lot, and God had been increasing Charles’ burden to not only continue preaching in the parking lot but to establish a ministry in a building where he could preach several times each day. He knew by this time that God wanted him to start a permanent ministry to the alcoholics, addicts, prostitutes, and the masses of the very poor that had absolutely no hope and no ministry dedicated to reaching them. Today as the Moore’s look back on those experiences, they can rejoice in the great truth that God taught them. God had led them, after missionary orientation, to stay behind in North Carolina, instead of going directly to Costa Rica and language school. This resulted in Charles preaching 70 times in two months and one day. Their being obedient to the Lord, despite all the pressure placed on them to go directly to Costa Rica, allowed them to see God use Charles mightily for His glory. They saw true revival break out in many churches in western North Carolina. 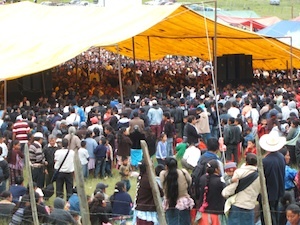 Even though his messages were not evangelistic, more than 137 people accepted the Lord in those 70 meetings. Then God let them see the blessing of more than 900 people attend each of 3 Christians Sharing Christ services held at the Asheville City Auditorium. These meetings were the result of Charles wanting to tell everyone in the area that there is a victorious life offered to each one through Christ Jesus. The name of the meetings was “Christians Sharing Christ”, a name that would be chosen for the non-profit organization that would be used to support the Moores in Latin America. Their first step of faith had been to leave the business world and go to seminary; their next step of faith was to rent the Asheville City Auditorium with their last $100. Then God led them to delay their going to Costa Rica. God again richly blessed their next step of faith, that of resigning from the board and beginning the Christians Sharing Christ ministry to the down-and-outs in Costa Rica. Their great and loving God used them to see more than 5,000 people accept Christ in only the first two years of their marketplace ministry in Costa Rica. To this day, Charles and Judy know when God leads you to take a step of faith, despite everyone being against your decision, you will always see God move in miraculous ways. The only important factor to see this happen is to know with a certainty that you are doing God’s will. Few people ever see the hand of God truly use them, because it is so much easier to follow the advice and direction of others than it is to be still and know God’s will for their lives. Charles, early on, recognized that he could only reach a few people by preaching once a week in the small parking lot. God had given him the burden to find a building in the middle of the main market place. So Charles started walking through the market place every morning, looking for a building that he could rent. He was looking for any building, which would enable him to preach day or night to the mass of people in the market area. A young Costa Rican, Carlos Munoz, became his constant companion as they together looked for a building to rent. They shared the same heart’s desire, to find a building large enough to hold at least one hundred people. Little did they know God would use them to begin a work that in 43 years would see more than two and a half million people accept Christ in many countries around the world. For more than a month as they looked for a building, Charles and Carlos would stop on a corner and bow their heads and pray for God to lead them to a building they could rent in that particular block. Charles would leave his home each morning, and from 8:00 in the morning until around noon, he and Carlos would walk up and down each block in the market area. They would go into every building, asking if the person knew where there was a building they could rent. After the first week, most of the people would greet them as they walked in to their shop by saying, “Nothing for rent!” The reason they had to keep going every day was that, as soon as a building was available to rent, somebody else would already have rented it. Her reply came instantly,“ All right, I will take your offer because I don’t want the building to be used as a house of prostitution again. That is how the others intend to use it.” She then said, “I will have papers drawn up, so come back on Monday morning to finalize the contract.” Little did she know that Charles didn’t even have enough money to buy food for his family, much less enough to pay the first month’s rent of $100. Charles had no idea how he would have money on Monday to pay Dona Elba; all he knew was that God had led him to make the seemingly absurd offer that she accepted and the rest was in His hands. Almost immediately after Charles said amen, the telephone rang for the first of three times. Each time it rang, Charles literally ran to answer it, because he knew by faith God was going to answer their prayer. The third call was from a missionary who was a dear friend and whose post office box they used to receive mail from the states. They did not have enough money to pay the deposit to have their own post office box. Sydney Goldfinch said, “I have two letters for you.” Charles asked him who they were from. He told him, and Charles replied, “I will try to pick them up from you tomorrow.”Â Both letters were from people who did not know the Lord and had never sent the Moores any money. Then the doorbell rang and Charles rushed to the door fully expecting again by faith that someone would have money to give to them. When they were living in the house provided by the Foreign Mission Board, they had pastors and other Costa Ricans dropping in unannounced to eat with them. Because they had lived only a short time in their new home, and because it was no longer only three blocks from the marketplace, most of their visitors had not found where they now lived. When Charles opened the door, his mouth almost dropped open, because he saw standing on their porch, a young man who ate more than most of all the other men who had eaten at their home. Charles thought about the two sacks of green vegetables that he had just brought home, and thought that this young man would eat most of those vegetables. As he came into their home, Charles shared what the Lord had done, and how earlier he had asked the Lord to provide for his families needs. Only a few minutes passed and the doorbell rang again. All of this had transpired in less than forty-five minutes. There stood their next-door neighbor Marco Venicio Alvarez, who, in the short time that they had lived by the Moores, had become like a brother to Charles. He had witnessed to Marco stronger than to anybody he had ever witnessed to in his life. The next day, Charles went to pick up the mail, and inside one of the letters, he read, “Today we have seen that a check for $667 was deposited into your account in your bank in Ft. Worth, Texas.” The first response Charles had was, “Thank you Lord that the check was not for $666, the sign of the beast”, from a verse found in the book of Revelations. He and Judy recognized that the money had been deposited nearly a week before they asked God. Some of the $667 was used to pay the first month’s rent to Dona Elba, and most of the rest went for the wood to make benches, a sign to hang over the street, and all the other necessary things to make the building usable. His loving Lord allowed Charles in 2004 to sit on the benches that were built in 1969 These benches are being used by one of eight of the Christians Sharing Christ churches in Costa Rica. This church where the benches are used was founded by one of the men who accepted the Lord with Charles in 1970. Filled with emotion, Charles said, “These benches have my blood and my tears on them”, and on that day in 2004, he added more tears to one of the benches. “I knew that you prayed before every meal, so I asked Judy Ann to pray. She bowed her head and said in flawless Spanish, â€˜Lord, provide some money so my Daddy can eat.’” That is how God spoke to one of Charles’s dearest lost friends, and led him to give them money for food. Some people would call that a coincidence, but don’t say that in front of Charles, because that miracle is just what his great and loving Lord has done over and over again. That is how God began the worldwide ministry of Christians Sharing Christ and has caused it to be used to win more than two and half million people to Christ. As Charles, Carlos Munoz, and a layman who worked in the market area began building the benches in the Upper Room; he did not know exactly what the ministry was to be, except to preach to the lost that came up to the new Upper Room. Someone told him that he could rent a movie projector and films from an organization within the Latin American Mission, so he began renting films to show to the people they would invite to come up to the Upper Room. However, before they showed the first film, Charles and Carlos led two 15-year-old boys to Christ. Years later, one is a deacon in his church. A friend in Texas sent them a well-worn Bell & Howell projector, and eventually they were able to buy their own films, so they would not have to pay the rental fees. Charles started Christians Sharing Christ on a shoestring, and made sure that every move he made was to the best of his knowledge in the very center of God’s perfect will. Through the influence of Dr. Cal Guy, Dr. L. Nelson Bell, and many of the “deeper life” books that he had read, Charles learned that if he were to see God bless the ministry to which God had called him, it would require many people to become intercessory prayer warriors for the ministry in the Upper Room. Charles continued to read books like “Goforth of China”, “Praying Hyde”, and many books about spiritual revivals that told of the importance of intercessory prayer warriors. Before Judy and Charles left the states, they had literally begged many people to pray for them every day. A lady in Asheville prayed for the Moores and their ministry many times a day as she lay in an iron lung (she died after having lived 24 years in that manner). Charles and Judy know that the fruit that the Lord allowed them to see in their lives and ministry came from the intercessory prayer of seventeen widows and unmarried ladies who daily prayed for them. In the first two years, they saw more than 5,000 professions of faith, despite the fact that the invitations were stronger than any invitation you would ever hear in the United States or that you would hear in Costa Rica. People were strongly told that, if they wanted to accept Christ, they would have to get up out of their seat and come down to the front and then told they would be taken to a back room where they would be counseled to make sure that knew exactly what they had done. The burden to reach the unclean and the unlovable in the marketplaces of the world caused them to have rocks and tomatoes thrown at them, to be physically hurt by prostitutes, to have their lives threatened, to be arrested and thrown in jail for preaching the gospel, and to see Judy and their children have only the bare essentials to live on. Their Upper Room continued to be used of the Lord to see hundreds saved each month. They kept trying to get these new babes in Christ into local churches so they would grow in grace. It is natural for a person who has accepted Christ to grow; however, if they do not have a Bible, or even a New Testament, it is extremely difficult. Because of this, they started a Bible correspondence course and for a lengthy period of time, they always had more than 800 people in more than a dozen countries enrolled. God worked in mysterious ways to see that the work of CSC continue and grow. While on a ham radio, sharing some of the victories they were seeing in the upper room, an American who was living in Costa Rica broke in and offered to take the Moores out to dinner. From that dinner meeting, this dear brother would later serve for many years on the board of Christians Sharing Christ and for many years paid the rent on the Upper Room. One day, Charles stood in front of their building with a small hand-held counter, counting the number of people who walked by. He calculated that daily more than 30,000 people walked in front of the Upper Room in an 8-hour period. Within a block and a half of the Upper Room, there were 113 houses of prostitution. In those 113 houses, there were more than a hundred girls between the ages of eight and twelve, girls that had their license, which meant that every month they had to have a physical exam at a government clinic. Charles worked in this area for nearly seven years. The American ambassador and Costa Rican government dignitaries, who were involved with the country’s social problems, were also invited. When the Moores arrived, they found that they had been invited so their work could be honored. There were at that time less than 20 houses of prostitution where there had been 113 when they started their ministry. The president’s wife asked Charles to share his testimony with her husband and their invited guests, and he was honored to do so. During their nearly eight years in Latin America, God used Charles to disciple 27 “preacher boys.” Many of these men are in different countries, including the United States, preaching the gospel. Arriving home, Charles would take his clothes off in the washroom and put on other clothes before he would even approach his family. This was necessary because he could easily have taken any of the prevalent diseases home to Judy and the children. God blessed their family by keeping them from ever catching any of the many different horrible diseases that were found at that time in Central America. This was an entirely different life from the life they had lived while in business, but it was very fulfilling and greatly filled with joy. Charles has often said he felt like he had a tiger by the tail. The more he preached the more people accepted the Lord, and that resulted in more that needed to be discipled. For months at a time, he would “work” in the Upper Room at least 80 hours each week. During There were many nights that Judy had to get several blankets to put over Charles and then lie on top of him trying to stop his shaking from nervous exhaustion. The Lord continued to bless their ministry. But, as always, there were tests and trials to pass through. 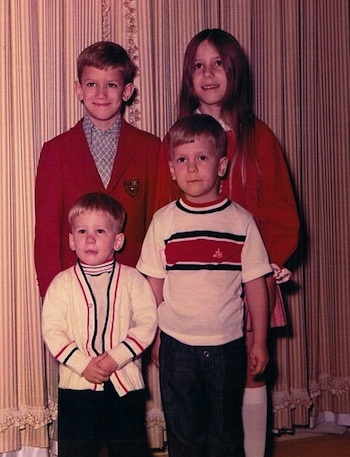 One Saturday morning, Charles took their two older boys to the doctor and found that one had pneumonia and one was about to come down with pneumonia. The doctor gave them each a shot of gamma globulin and a prescription for a powerful antibiotic. After paying the doctor for the shots, Charles didn’t have enough money to pay for the antibiotics. At the pharmacy, he found that he needed 127 colones (about $15). “Why, did you bring this money to me?” His reply was, “I am on my way home from the Caballo Blanco leather factory, where I purchased a 187-colon leather footstool, and God convicted me that it was a poor stewardship of His money. I stopped at the stop sign up the street, and God reminded me of you. So I turned and came this half a block and there you were, coming out your door.” Together they rejoiced in their heavenly Father’s love for each of them and for Charles’ sons. He purchased the antibiotics, and today those two boys are men in their 50's and love the Lord. This is just one of dozens and dozens of stories that can be told that show that faith in our Lord is always blessed. God says He loves us greater than any earthly father loves his son, and He proved it to Charles and Judy that day, and He has continued over the many, many years to prove it again and again. God then led Charles and Judy to move their family of six from Costa Rica to San Salvador, El Salvador, to begin a second ministry in a marketplace. Arriving in San Salvador, they found themselves again living in a very difficult situation. For three months, their family of six slept on army cots on the second floor of the Central America mission hostel in San Salvador’s extreme heat. There was no air conditioning or insulation, just a tin roof that seemed to absorb all of the suns heat. They lived there until they could find a place to rent that they could afford. In the meantime, Charles began the ministry of Christians Sharing Christ in San Salvador’s market area. When they found their new Upper Room and started the work as they had started the work in Costa Rica, they found everything to be much more difficult. However, everything they did seemed to be blessed of the Lord. Almost from the beginning, God allowed them to begin seeing hundreds saved each week. One day, Charles was standing on a corner in the market area, watching hundreds and hundreds of people walking by. He felt led of God to crawl up on an open garbage can (55 gallon oil drum) and balance himself by leaning against a light post so he could preach to more than 250 people about the love of Christ. 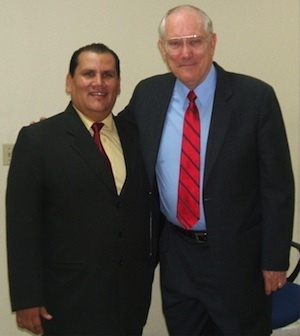 Besides preaching numerous times each week in their Salvadorian Upper Room, God opened the door for Charles to preach in numerous churches of numerous denominations. Despite all of the hardship that the Moores endured, Charles was blessed tremendously to see thousands of people saved in this densely-populated country. He couldn’t preach a service without seeing at least a dozen people saved, and in most services there were many more than twenty people who would accept Christ. Besides preaching in churches and in their Upper Room, he taught a weekly Bible study to members of some of the country’s wealthiest families, and each week he taught a three-hour course on ecclesiology (church history) at the Salvadorian Baptist Seminary. From their home in San Salvador, Charles recorded a daily radio program that was broadcast on a Dallas, Texas, radio station. The team of young Salvadorian men that he trained and discipled did most of the work of the Upper Room in San Salvador. During the week they had at least three services daily, and on the weekend, they would have up to seven services. 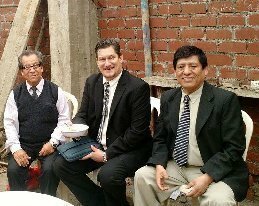 Today one of these men and his wife are missionaries in Morocco while two of those men are pastors of Hispanic churches in the Los Angeles area. 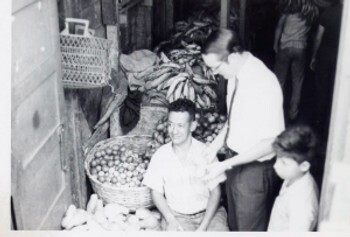 During the year in El Salvador, the Moores had eight groups of people from the U.S. visit them, for at least a week at a time, to see the work in the marketplace. Judy had the responsibility of being the host to all of these visitors, teach a correspondence course to three of their children, and be a hostess to the many Salvadorian visitors who graced their door each week. They paid a price for the daily stress that they experienced. Things that we take for granted in the U.S. were things that were a danger for their family. The Moores children could not go outside alone for the fear of being kidnapped, and a young Christian girl was stabbed on their front steps. Twenty-two people were killed within a half a mile of their home (they heard the machine gun fire), and a bullet came through their roof. The killing of the twenty two was one step toward the beginning of El Salvador's civil war that would kill thousands. Many of those killed were people who had accepted the Lord in Upper Room in San Salvadors marketplace. Once every two months, Charles had to visit the team in Costa Rica and their new missionary who was starting the Christians Sharing Christ ministry in Guatemala’s, El Terminal marketplace. Also at least once every two months Charles would make a whirlwind trip (for 7-10 days) back to the US to visit many of their supporting churches and continue raising support for the ever-increasing ministry of Christians Sharing Christ. His responsibilities were not limited to the work that they had already established, but he was also actively seeking to find more missionaries to open CSC work in the marketplace of other countries. God truly did a tremendous work in El Salvador. As they look back on that country, they can see that the Lord had them there at the most important time in the recent history of the country. With sadness and relief, the Moores left El Salvador to move temporarily to the states. They had the hope that God would open the door for them to go to Senegal, West Africa, and use that marketplace as a training ground for Christians Sharing Christ missionaries going on to other African countries. At that point in time, they had marketplace teams in Costa Rica, El Salvador, Guatemala, and Mexico. Charles’ responsibility became the oversight of each country’s team, and to continue to make sure that they received their support, both spiritually and financially. This required him to travel to each country at least once every two months. Upon their return to the United States from El Salvador, Charles weighed 170 pounds, a weight he had not seen since he was in high school. Both Judy and he lost so much weight because of the heat and the tremendous demand they allowed to be placed on their lives in order to minister to anyone they saw in need. They were both physically worn out but still had major responsibilities. Less than a month after their return to the states, Judy collapsed from nervous exhaustion and was then diagnosed with the Desert Lung disease. After a period of time, it became evident that the Moores could not return as a family to the ministry in Latin America. They had tried to move to Honduras and start the Christians Sharing Christ work in the marketplace of Tegucigalpa the capital of that country. After five months again living in Central America, they realized the only way they could start the Honduras work was to send their two older children two and a half hours from Tegucigalpa to a missionary boarding school. God showed them clearly that He would not ask them to sacrifice their children to start the work in the marketplace of Tegucigalpa, Honduras. As the founder and General Director of Christians Sharing Christ, Charles was forced into becoming solely an administrator. For two years, he fulfilled this role but realized that he was not using the gifts that God had given him. During the year that Tim and Charles worked together, they formed an organization called Californians for Biblical Morality (C.B.M. ), whose purpose was to organize evangelical pastors to stand together against the immoral actions of California’s elected officials. Charles was the first Executive Director of this organization that represented 1100 pastors. In early 1980 it was only natural that Jerry Falwell would ask Charles to become the first National Field Director for the Moral Majority and repeat what he had done in California. During that election-year cycle, God used Charles to organize 37 states. The Lord honored this work by leading four of the Moral Majority state organizations to help defeat four incumbent US Senators who had continually voted against what for many years was called the Judeo-Christian ethic. A former political contact from New Mexico, recommended Charles to Ronald Reagan as his liaison to the evangelical community. Charles helped put together a small dinner meeting at the home of the Reagan's of twenty-two influential Christian businessmen. Later, Charles would introduce Jerry Falwell, Charles Stanley, James Kennedy, and many other well-known Christian pastors and leaders to Governor Reagan. Charles traveled around the country organizing the “Christian community” to support the candidacy of “the Governor.” He would gather a group of the twelve key pastors in and area to meet with “Governor Reagan” and give them the opportunity to ask him any question they desired. After the election, Ronald Reagan personally had two of his closest advisors call Charles and ask him to become the Director of Urban Affairs in his first term in the White House. Both times, Charles turned down each of these gracious offers. Again, in late 1989, Charles turned down an offer of the same position in the White House of George Bush. 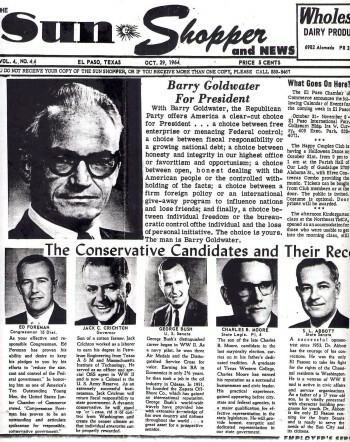 After the election Charles and his good friend Jack Dabner produced seven Christian films, one of which would receive the equivalent of an Oscar. During this time, Charles was the Chaplain of Christian Heritage College, and for three years, he taught the largest Sunday school class in the state of California. In the late 80s and the early 90s, Charles became a political consultant for Christian or very moral-minded candidates. 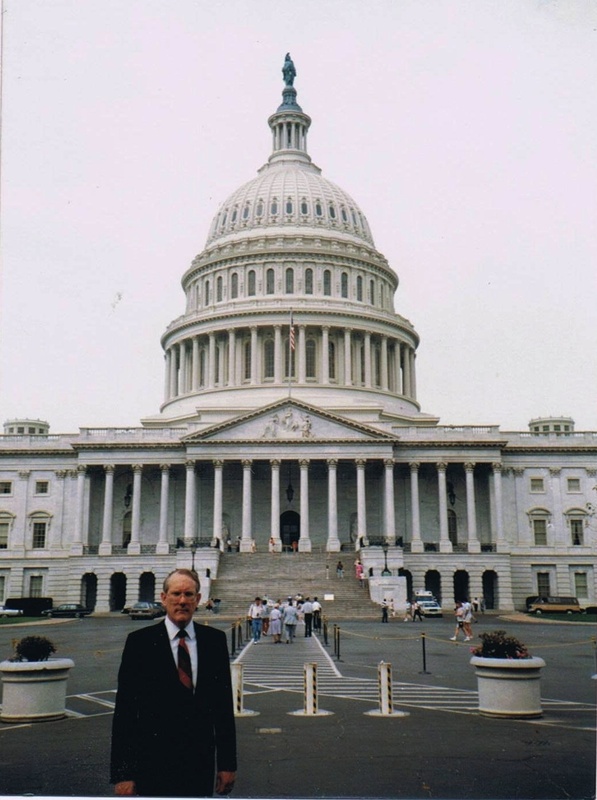 In his lifetime, he has consulted 39 political campaigns from school board to the White House and had a success rate of greater than seventy seven percent. On January 23rd, 1993, while having lunch, Charles slid out of a booth in a restaurant and, as he stood up, he caught his shoulder on a decorative wooden overhang. The doctors fused vertebrae in his neck, hoping that would remove the inordinate amount of pain. Eleven months later, two doctors diagnosed that Charles had Reflex Sympathy Dystrophy (RSD).Â To this day he lives with constant pain in his left arm and his two lower extremities. The pain in his arm is as if it is lying on an extremely hot grill. During the period of four months Charles had 31 very painful stellate Ganglion Blocks in a hospital recovery room, which involved injecting a needle into his neck until the doctor found the C7 vertebrae and then would pull the needle out 1/8 of an inch to inject different medicines for the treatment of pain. Later the RSD spread to both of his lower extremities, from his hips to the bottoms of his feet. Because of high pain levels Charles was in the emergency room 38 times in six months just to stay alive because of horrible pain. Two different doctors told him outright that, because of the pain, he would eventually commit suicide. For several years he was on extremely high doses of time-release morphine. God however worked through all of this to bring Charles to a brokenness which brought glory to Himself. In March of 2004, Charles was diagnosed with Peripheral Neuropathy, and the prognosis of greater pain levels. By this time, his pain had increased so much that his children decided to take him to Costa Rica to visit people that he had loved so much so many years before; many were his children in the Lord. Two of his sons accompanied him on this “last trip to Costa Rica.” The night before he was to leave with his sons he entered the hospital with internal bleeding. Two days after being released from four days in the hospital, where he almost died, Charles using a wheelchair was on a plane to Costa Rica. 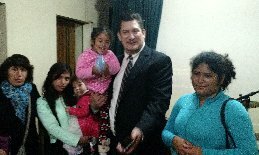 The stress and pain of the trip caused him tremendous agony; however, from the moment he arrived in San Jose the Lord began to work a miracle in his life. On Easter Sunday of 2004, while sitting in a chair he preached an hour long message to the largest Christians Sharing Christ Church (one that he personally founded). After Charles finished the sermon of exhortation, the pastor (one of his sons in the Lord) invited all of Charles’ “preacher boys” and men that he had discipled to come up on the platform. A very large number responded, and then a Christian Mariachi band entered. They sang two very special songs about how God uses missionaries to tell people about the love of Christ. That Sunday morning was a great day of rejoicing for Charles, his sons, and those who could recall the marvels of what God had done in and through the ministry of Christians Sharing Christ that began in the Upper Room in Costa Rica so many years before. 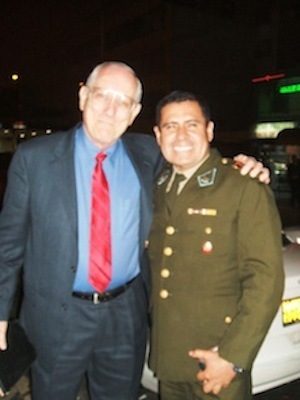 After the service, a gray-haired man who had been making a video of the service came up and said, “I accepted the Lord in the Upper Room nearly 30 years ago while you were preaching.” This man, who was in the red light district so many years before, was now an oncologist (cancer doctor) in Costa Rica. Charles did not ask him why he was in that very unsavory area that night, because he knew that he had a predestined appointment with his Savior. Late that Easter Sunday night, when pain would not let him sleep and morphine would not diminish his pain; God showed Charles what had robbed him of being used in His kingdom during the painful previous eleven years. Charles thought of the men he had discipled, many who had filled up the back of the platform of the church that morning, and he remembered that he had taught each one of them that God would ask them one question when they came before his throne of grace. That question would be what did you do with the gift that I gave you. Almost immediately Charles recognized that during the more than 10 years of his major disability he had not been living by faith, allowing the Lord to use the gift of faith that He had been given. He had wrongly concluded that he had thought that he could not be used of God because of his tremendous physical pain and serious physical limitations. That night by faith Charles made a pact with God. By faith he asked God to give him five years, during which time he would be obedient to His will and exercise the gift of faith he had been given. Early the next morning Charles and his two sons caught an airplane to return to United States. 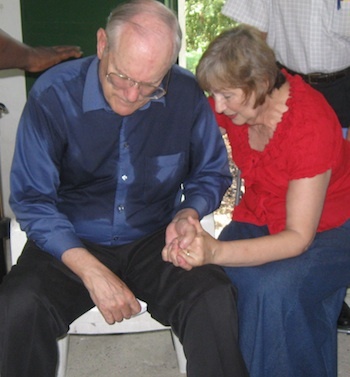 Nothing had changed in his physical condition and pain levels, but Charles made another trip to Costa Rica a few months later to preach 13 times in 12 days despite extremely high pain levels. On that trip God allowed him to see people blessed and church members again fall in love with their Lord. Twice during the next two and a half years he had two more major surgeries which required lengthy periods of rehabilitation. During each lengthy recovery period, his pain levels decreased. During this period God gave him a burden to reach as many pastors among evangelical churches in Central and South America with the message of the importance of prayer, of living a life holy acceptable unto the Lord, and the message of revival. January 24, 2007 Charles held his first pastors seminar for a group of Hispanic pastors in Phoenix, Arizona. By this year, 2016, more than 250,000 Latin American pastors and leaders have heard the message that God has given him and many have become men of God who love the Lord more than they love their own lives. 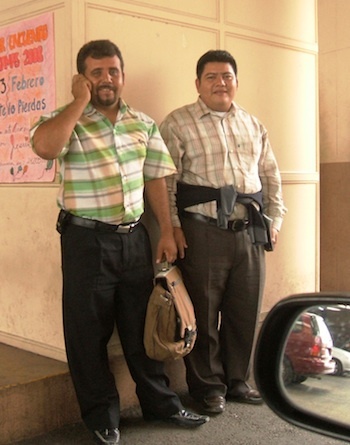 Just before Easter of 2007 God brought Charles and Rigoberto Vega together to become a team. From 2008 through the middle of 2012 Rigo held more than 90 Crusades in Mexico, Guatemala, El Salvador, Nicaragua, Costa Rica, Panama, Ecuador, Bolivia, Venezuela, Colombia, Brazil, Peru and London, England. More than 90,000 have attended these Crusades and more than 17,000 accepted the Lord. In the last two years Rigo preached Crusades on the Amazon in Brazil, in war-torn areas of northern Colombia, in the center of Panamas drug distribution area, in Mayan communities of Guatemala where he had to ride in the back of a pickup for seven hours over 11,000 foot mountains to reach communities who rarely if ever have seen an evangelist. 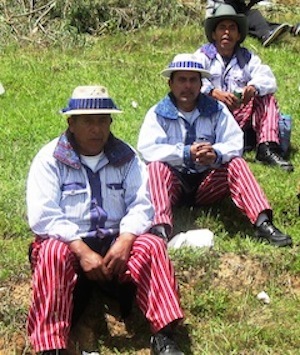 Rigo preached dozens of crusades in rural communities where ofttimes the road ends. One pastor's seminar that Charles taught lasted four hours and fifteen minutes without any break and was attended by 2,400. Amazingly not one pastor went to sleep nor did one pastor get up and leave. 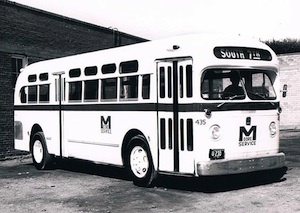 Two pastors had ridden a bus 12 hours, all night, to attend the seminar. Other seminars have been attended by pastors who have walked or ridden horseback, traveling many hours to catch a bus to a seminar. More than 450 Panamanian pastors endured 98F temperature, with very high humidity, during a four-hour seminar. Twelve pastors who live on the island of Chira in the Gulf of Nicoya (Pacific Ocean) attended a three-hour seminar on their island taught by Charles. He and Judy were taken across the gulf to the island by a small boat passing through alligator infested lagoons. After a 13-hour trip to Huehuetenango, Guatemala from Tegucigalpa, Honduras, we arrived exhausted at 8PM to our hotel only to find 22 men waiting to greet us. Seven of these men had traveled 5 hours to Guatemala City in January to attend our 4 hour and 15 minute non-stop seminar. You cannot believe the testimonies of these 7 as they told how their lives had been changed forever in that seminar. These men had put together two seminars and a lunch meeting for me to teach. On their own they had rented the presidential suite for us, a brand new area of a hotel that was not to be opened until June 28. Judy cried for a long time after they all said goodnight and left us in our luxurious room. We both were overwhelmed by their love and joy to see us in their city. We both are worn out. Each of the three previous hotels we stayed in on this trip had huge cockroaches which are always disconcerting to Judy. In fact in one hotel, which turned out to be a house of prostitution, we could not take off our shoes except to get into bed. This was by far our most physically demanding trip and the trip that was most blessed. Twenty-three hours of teaching and preaching in two countries and five cities in a seven day period. There were two, several hour services, where no one wanted to leave when we finished. God blessed in so many ways. Christians Sharing Christ began in 1969 with the intercessory prayer support of 17 widows and single women. God honored their prayer and began a work that continues today, some 43 years later, winning people to Christ through the power of His word. Charles knows that God continues to bless the ministry because many are praying each day that God will use the ministry of Christians Sharing Christ Crusades for His glory. In the last five years this ministry has operated on an average annual income of $30,000. 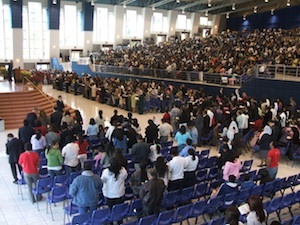 Few ministries have seen 17,000 people won to Christ in five years and more than 200,000 pastors and leaders challenged to become prayer warriors, men who live a life holy acceptable unto the Lord, and have learned what God requires for Him to send a great revival to Latin America all with the above limited resources. Charles and the board members of Christians Sharing Christ Crusades , and those who have been part of this ministry, clearly and with certainty know that the hand of God has been on this ministry because many stand before His white throne of glory in intercessory prayer. Let us encourage you to become a prayer partner of Christians Sharing Christ Crusades.